Let’s take a time machine back to 2008. Ford had just suffered through 5 years of problems and warranty claims related to 6.0L Power Stroke engines. A replacement engine (6.4L) was being rolled out, but the ailments of the 6.0L had never been completely solved, leaving some Super Duty and Excursion owners to replace the same parts over and over again. Ford wasn’t looking back, but not everyone was ready to consider the 6.0L-powered trucks a total loss. Sure enough, there was a way to make these engines reliable and durable without sacrificing power. Follow along as we describe how that was achieved and exactly what it means to have a Bullet Proof 6.0L Power Stroke. The insides of a 6.0L OE oil cooler, plugged with coolant debris. 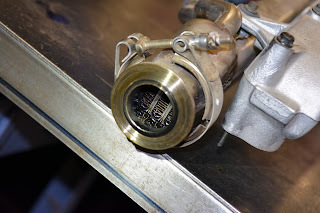 The most significant common pattern failure related to the engine oil cooler. 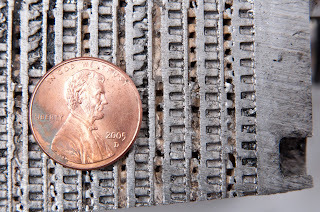 It turns out that bits of debris within the coolant tends to block the miniscule coolant passages within the oil cooler within about 50,000 miles of use. When this happens, any engine component needing coolant ‘downstream’ from the oil cooler (such as the EGR cooler) was likely doomed. Additionally, ineffectively-cooled oil affects fuel injector operation negatively. If a leak occurs within the oil cooler, oil and coolant mix, causing a huge internal mess within the engine. Another pattern failure identified was the tendency of the 6.0L EGR cooler to rupture. This component needs coolant from the oil cooler and will fail without it. Also, uneven temperatures within an EGR cooler cause metal fatigue and can lead to cracks, allowing coolant into the exhaust system. A ruptured EGR cooler, filled with soot-filled coolant. 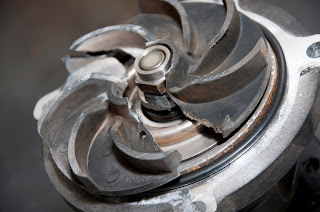 The moving component within 6.0L water pump—the impeller—is made of plastic within stock units. This plastic piece has a tendency to crack and break after sustained use. This occurrence was identified as a common pattern failure. The fuel injection control module (FICM) needs to send 48-volt pulses to the 6.0’s fuel injectors to properly time fuel spray into the engine’s cylinders. Stock Ford units tend to get ‘tired’ after time and voltage drops, negatively affecting fuel delivery to the combustion chambers. This common pattern failure affects overall engine performance, especially when cold. The plastic impeller on this OE 6.0L water pump has shattered. Finally, it was noted that the cylinder head bolts within the 6.0L had a tendency to stretch during engine use, especially if the engine had been modified to produce more power than it would have in stock form. When the bolts stretched, head gasket seals were compromised and blown heads would often be the result. The air-to-oil BulletProof Oil Cooler system with optional BPD oil filtration. 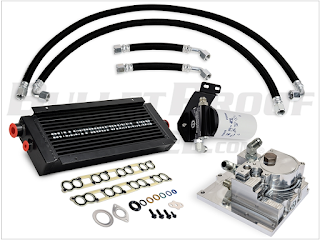 Bulletproof Engine Oil Cooler System: this kit uses an external, liquid-to-air heat exchanger (similar to a radiator) to bring down oil temps. It doesn’t utilize coolant, so there is no danger of the unit getting plugged with coolant debris or of engine oil mixing with coolant. Additionally, enhanced oil filtering options are available. Bulletproof EGR Cooler: rather than small finned passages within the EGR cooler, larger coolant tubes are used. This alleviates failure due to metal fatigue, as the tubes have sturdier connections to the bulkheads of the EGR coolers. The large diameter of the tubing also prevents clogging caused by debris in coolant. 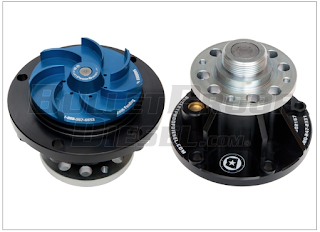 The BulletProof billet aluminum water pump for the 6.0L. Bulletproof Water Pump: an all-billet aluminum design ditches the plastic impeller used in stock units. With that weak link eliminated, the common pattern failure is solved. 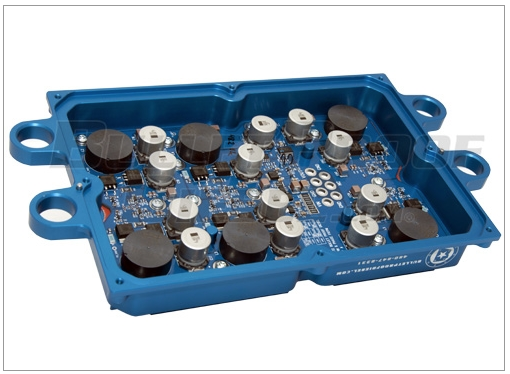 Bulletproof FICM: military-grade components with an available 2 extra circuits share the power load, and create as many as 58 volts to ensure proper fuel injector function. ARP Head Studs: unlike bolts, studs are threaded on each end. They have a higher clamping force than bolts, and won’t stretch under tension. This protects gasket integrity and saves cylinder heads. Again, 6.0L common pattern failures must be resolved using these specific Bullet Proof Diesel and ARP parts in order for a truck to be considered ‘bulletproof’. Use of EGR cooler delete kits, the ‘improved’ Ford oil cooler, or other branded products to combat these problems do not add up to a ‘bulletproofed’ truck, no matter what keyboard commandos might tell you. So beware, and insist on doing the job right: use official Bullet Proof Diesel products.